Kansai Paint's comprehensive range of paints is used extensively for the interiors and exteriors of residential and office buildings, factories and commercial buildings. 1. 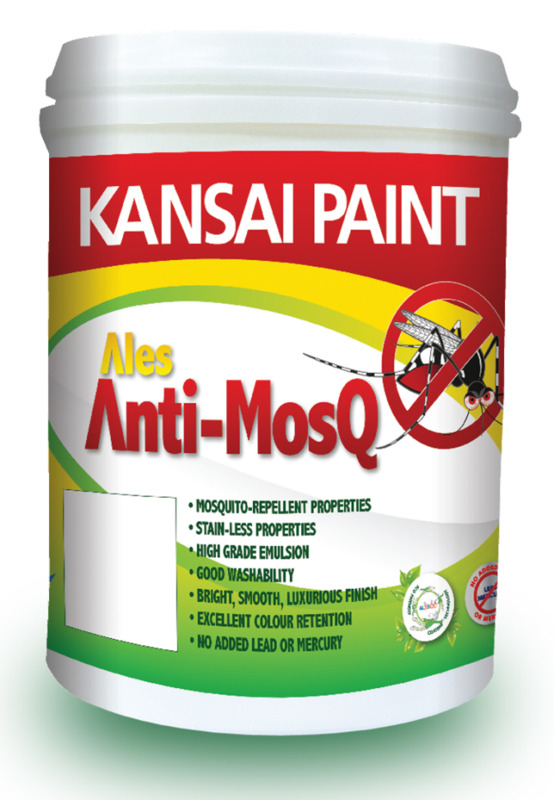 A premium grade emulsion with mosquito-repellent properties and yet gives a brillant, smooth and luxurious sheen finish for interior use. 2. Formulated with special emulsions, it can withstand moderate washing which makes it ideal for surfaces where regular cleaning is required. Large quantity order? Get In Touch. Over retails shop covered island wide. © 2019 Kansai Paint (Singapore) Pte Ltd. All Rights Reserved.